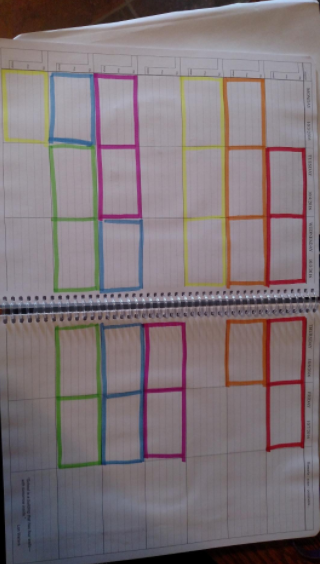 Make your journal look like perfection. 1. Design title pages for your journal with neon sticky dividers large enough to decorate with words and other illustrations. Get a 60-pack of assorted colors from Amazon for $5.25. 2. 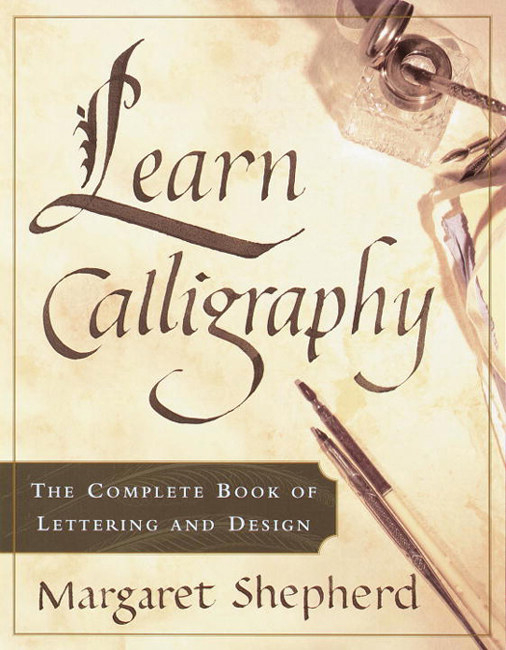 Invest in an affordable calligraphy pen set and the book Learn Calligraphy to take your lettering ideas to new heights. 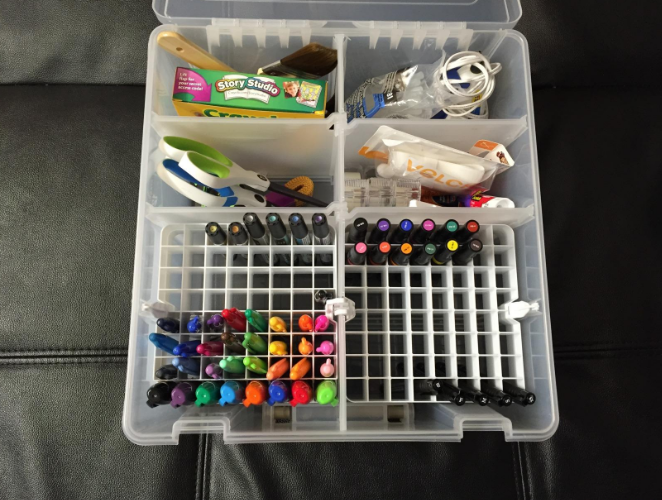 The 33-piece calligraphy kit comes with four pens, five various-size nibs, 20 color cartridges, a practice pad, and an instruction book all housed in a metal case. 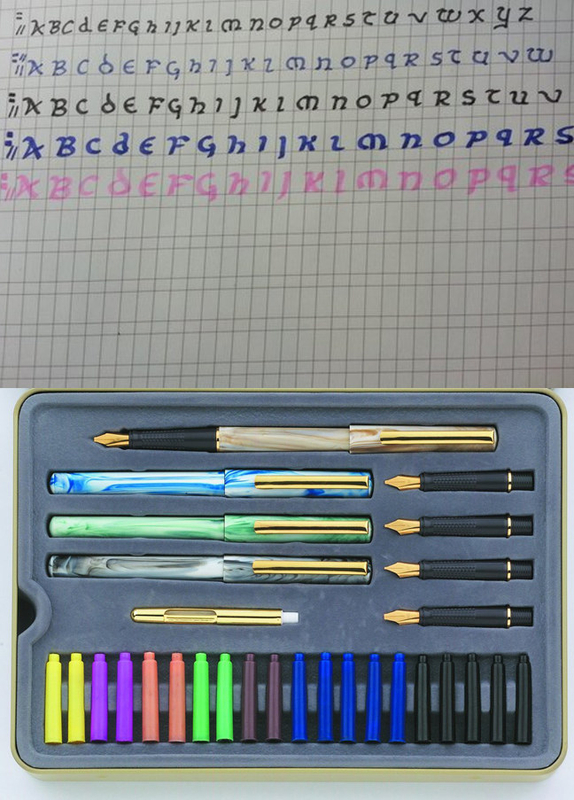 Get them from Amazon: calligraphy pen set for $16.99 and Learn Calligraphy for $12.84. 3. 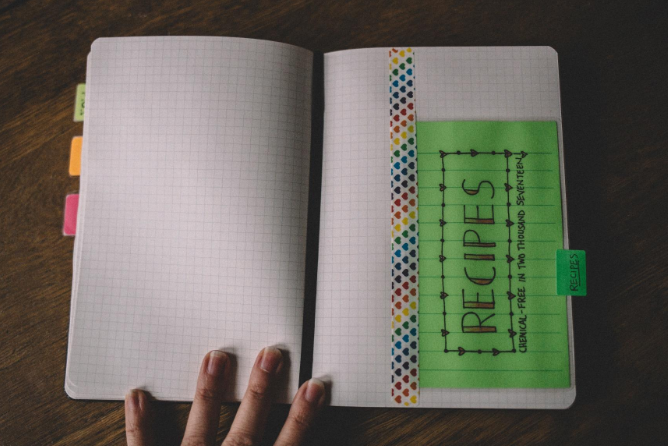 Divide your goals or separate your pages into multiple sections using different colored washi tape or a days of the week tape roll. 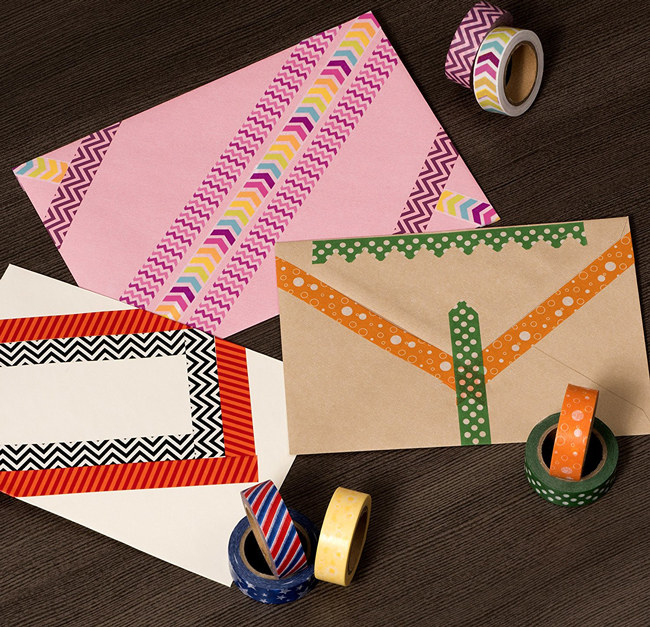 Get the 12-pack of washi tape from Amazon for $13.97. 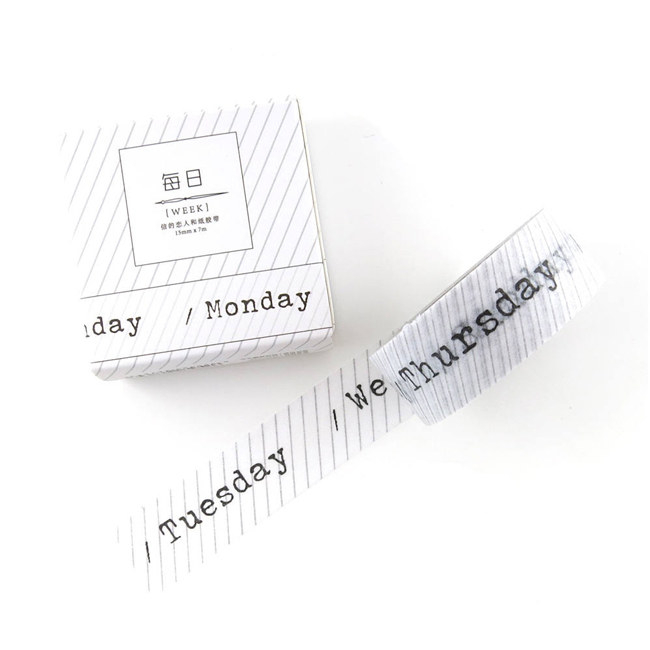 Get the days of the week washi tape roll from Washi Gang on Etsy for $2.73. 4. 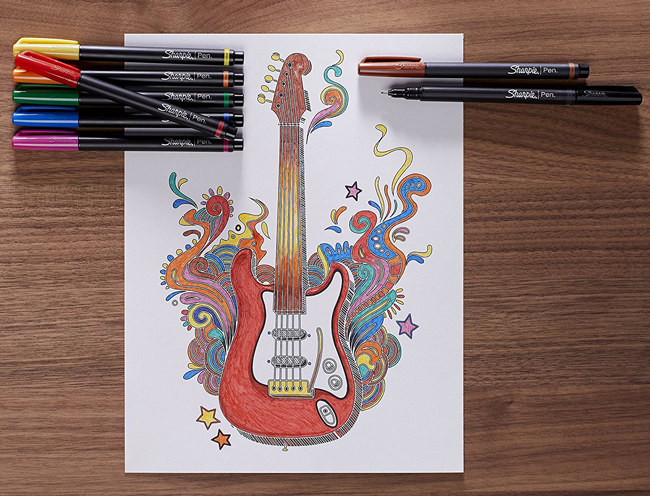 Make a color index using a set of dual-tip brush pens that can write both thick and thin ink lines. 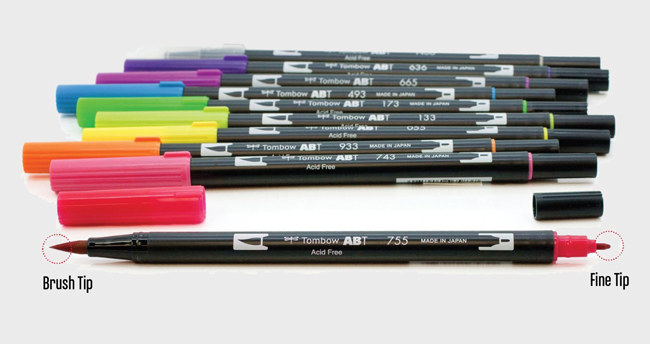 Get a 10-pack of pens on Amazon for $15.43. 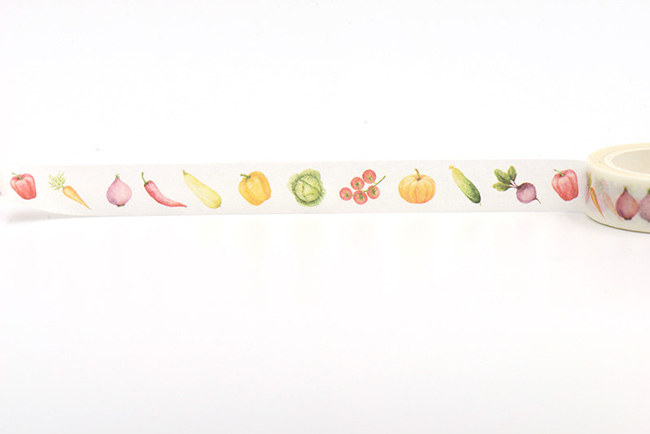 You can watch a full-color index tutorial by Boho Berry here. 5. 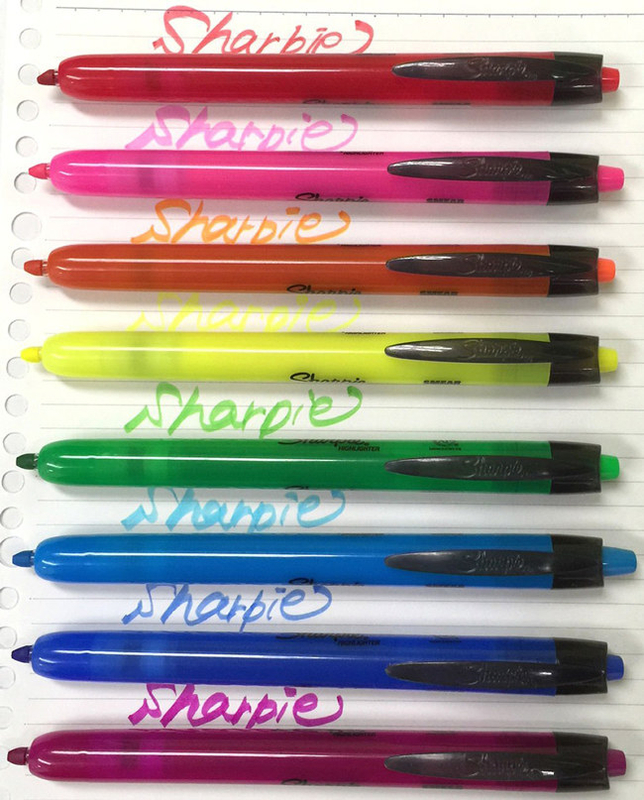 And avoid the heartache of unwanted ink stains with a pack of fine-tip Sharpie art pens that don't bleed through pages like thicker-tipped Sharpie pens. Get an eight-pack from Amazon for $11.57. 6. Create some beautiful headers and backgrounds to write and draw on with a set of watercolor paints and watercolor brushes. 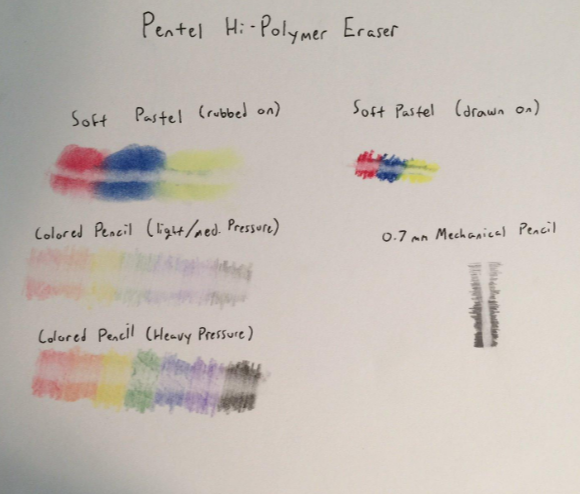 The three-pack of watercolor brushes includes a fine-, medium-, and large-tip brush. 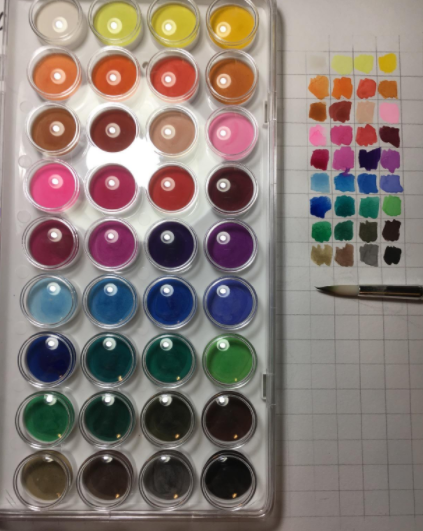 Get them from Amazon: 36-Color Watercolor Pan Set for $7.87 and three-pack of Watercolor Brushes for $11.97. 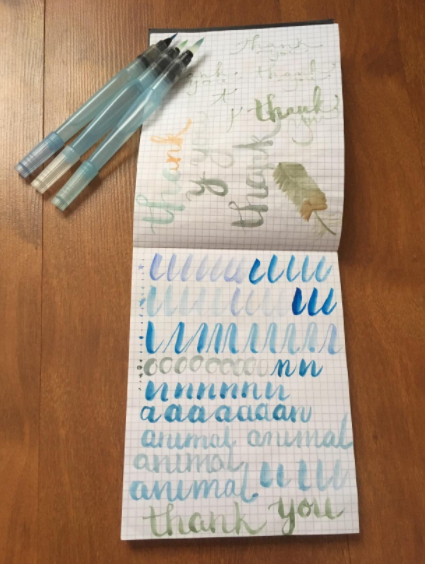 You can read a full tutorial on adding watercolor paint to your journal by Little Coffee Fox here. 7. 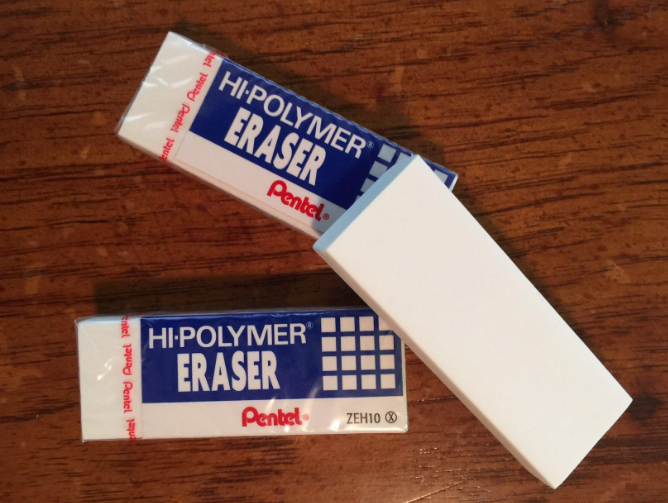 Keep smudges and leftover pencil marks from ruining your pretty pages with a pack of Hi-Polymer erasers that remove lead with ease. Get a three-pack from Amazon for $2.57. 8. 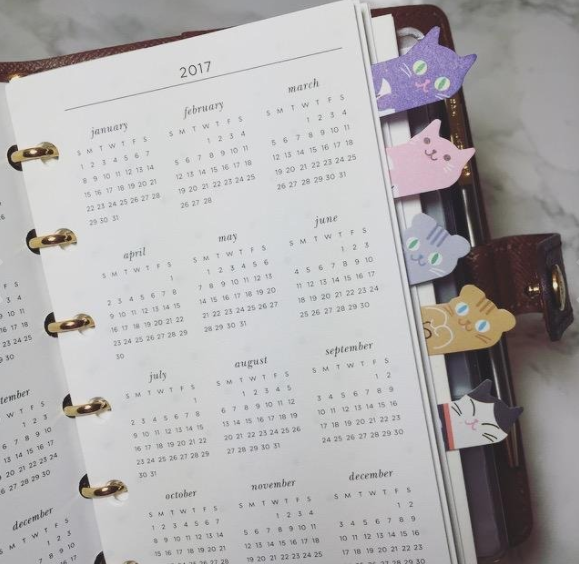 Attach some adorable cat sticker dividers to the top of your pages to identify sections of your journal or flag pages you may need to update or find quickly. 9. 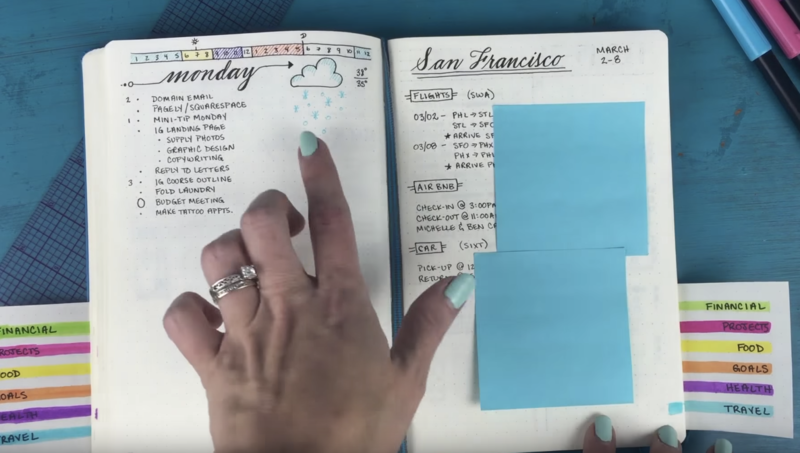 Make the drawing process easier — especially if you aren’t the best artist — with a sturdy set of planner-size stencils that’ll work for various sections in your journal. Get the set of three from Amazon for $11.56. 10. 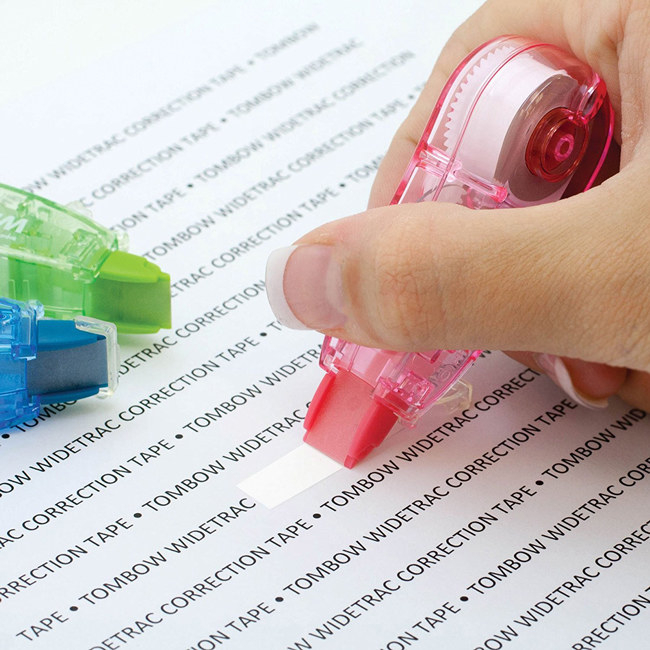 Use a whiteout tape roll to quickly correct any mistakes you’ve made while writing in your book. Get a three-pack from Amazon for $3.03. 11. 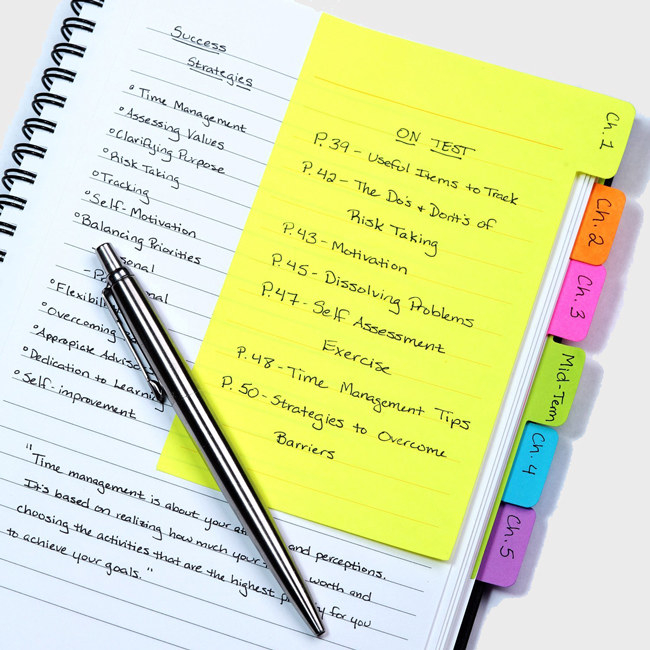 Draw even lines and make perfect grids with an 18-inch plastic ruler that will cover both sides of your journal's pages at one time. 12. 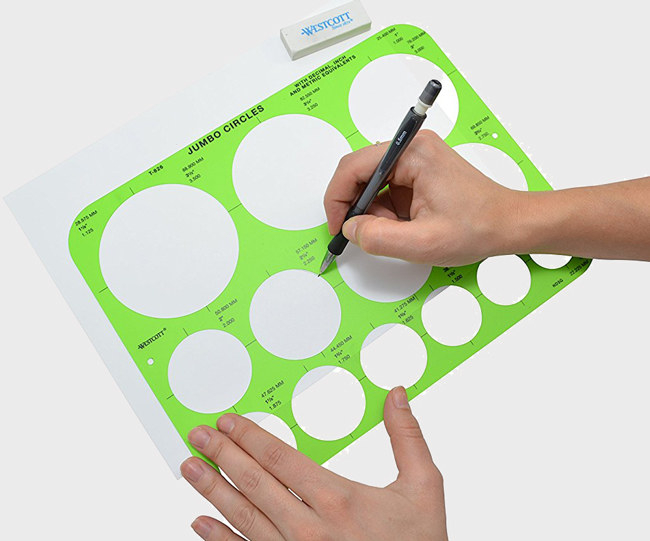 Give some circle design templates a go — like a wheel calendar or pie chart for financial tracking — with a flexible jumbo circle stencil. Get it from Amazon for $10.43. 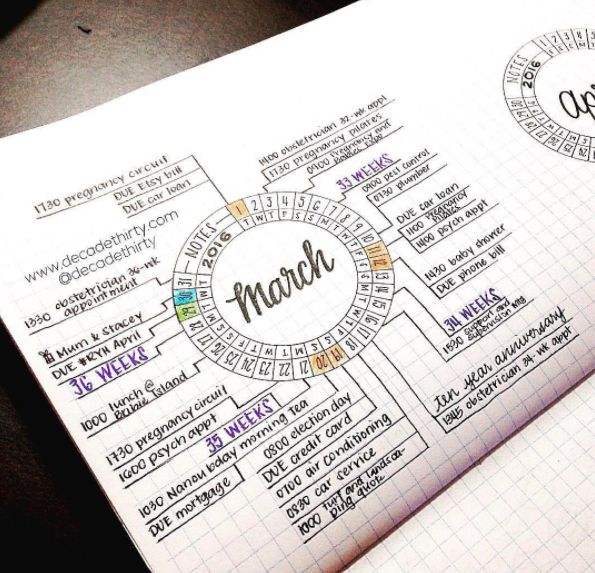 Read a full Wheel Calendar tutorial by Decade Thirty here. 13. 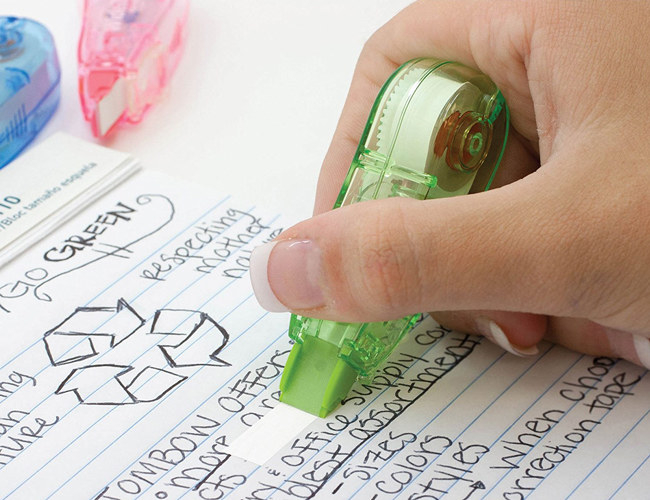 Brighten up your pages with a gang of highlighter pens you can use to identify important dates, trace over page headings, or simply fill in white space. Get the eight-pack from Amazon for $7.98. 14. 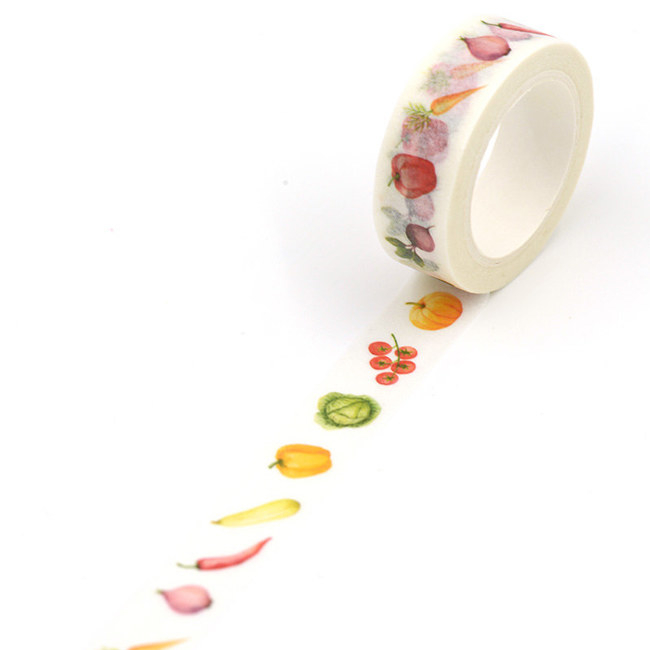 Code the dishes in your meal log or decorate the section’s header with a colorful food tape roll. 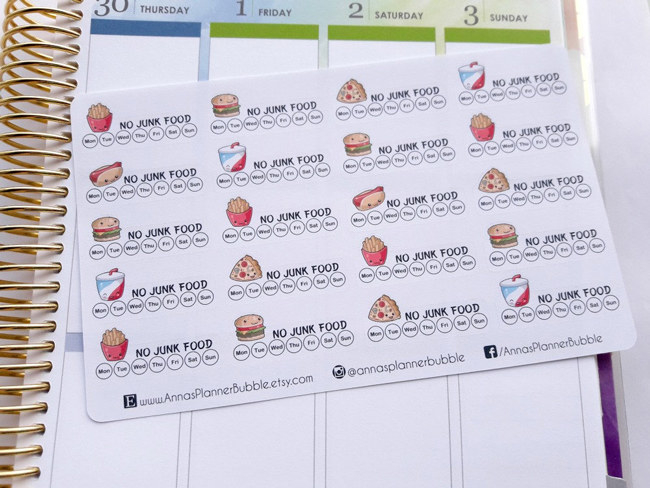 Get it from JnM Studio on Etsy for $2.20. 15. 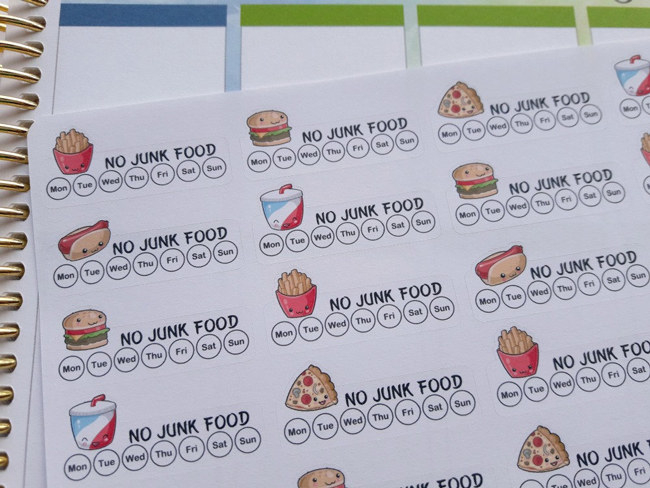 And specifically force yourself to break your fast food habit with a pack of "No Junk Food" tracker stickers designed to fit the pages of a range of popular planners and notebooks. 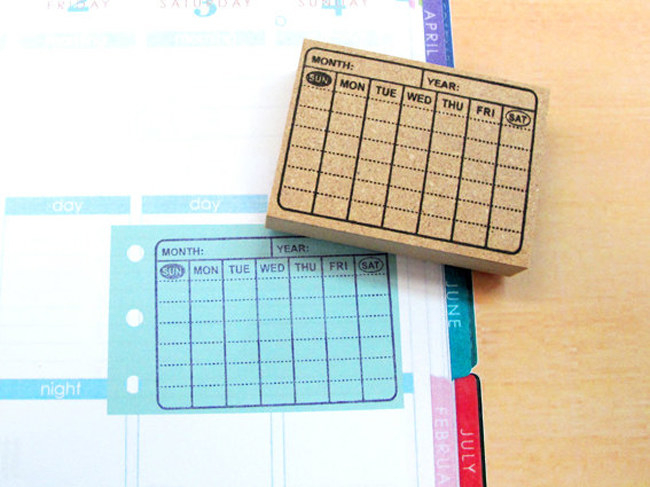 Get a 20-pack from Annas Planner Bubble on Etsy for $2.58. 16. 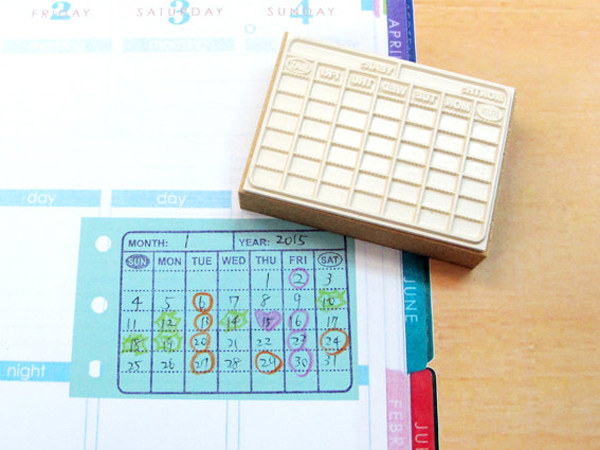 Track the dates for your goals on your individual journal pages using an undated mini calendar stamp. 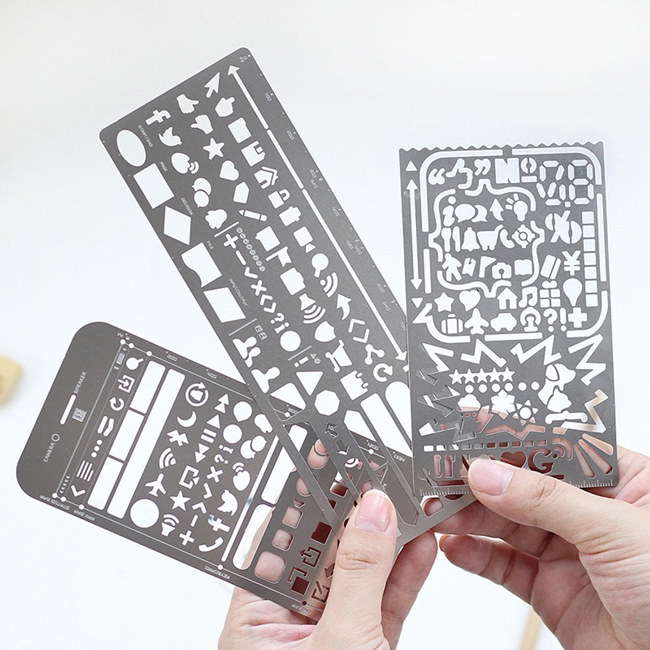 Get it from Cool Japan Stamp on Amazon for $9.32. 17. 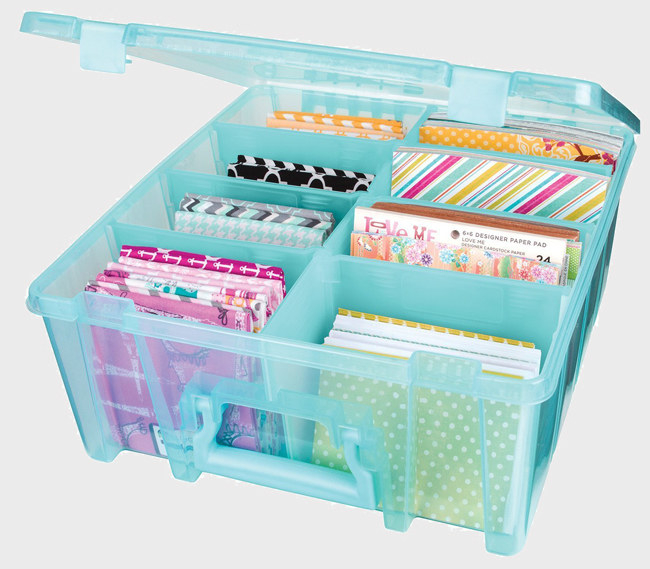 And pack away all of your journaling tools in one place with a space-saving plastic storage case that features adjustable dividers for pencils, stencils, and any other design goodies. Get it from Amazon for $19.19+. Available in four colors. 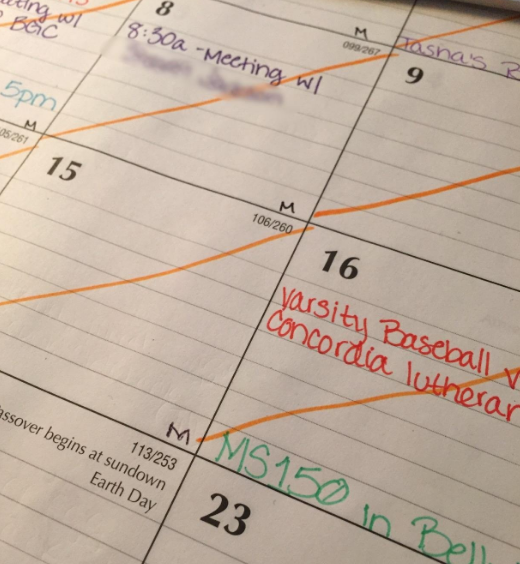 May your journaling days continue to be happy and bright.